Diamante comprises over 1,500 acres of Pacific Coast real estate, including an astonishing 1.5 miles of breathtaking beachfront coastline. 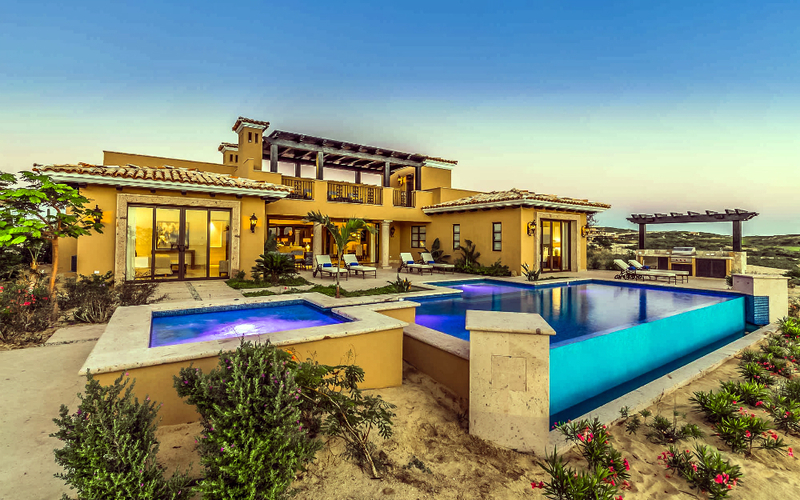 Just six miles north of Cabo San Lucas, Diamante is conveniently close to the Land’s End city, with its world-class restaurants and boisterous nightlife, yet far enough away for home owners to enjoy their paradisiacal surroundings in quiet comfort, blissfully removed from the hustle and bustle of city life. How idyllic is it? Imagine an enclave comprised of upscale ocean view communities – with ownership properties that range from luxurious estates and villas to casitas and suites – all fashionably appointed and endowed with exclusive membership privileges and extraordinary amenities. It’s a secure, gated oasis of gracious living, where everything seems oriented towards the western horizon, towards fiery sunsets and crashing ocean waves. So dramatic and majestic are the natural surroundings, in fact, that prior to its development the location was chosen as the backdrop for the movie Troy, a Brad Pitt epic about the Trojan War. You’ve heard the expression “a diamond in the rough”? Diamante is all diamonds, no rough. Well, except for the fairway adjacent areas on the development’s incredible collection of world-class golf courses. 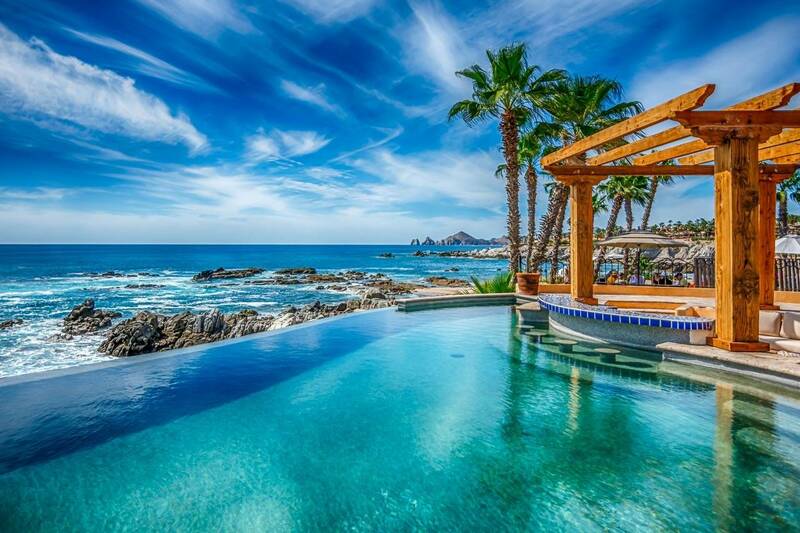 Diamante, the Spanish word for diamond, perfectly captures the allure of this Pacific Coast paradise. Every facet sparkles, and the setting is flawless. What the six communities at Diamante have in common are spectacular ocean views and access to the property’s superb slate of amenities, which include gorgeous golf courses from Tiger Woods and Davis Love III. Beyond the commonalities, the communities offer a diverse portfolio of homes and residences; diverse in size, but also in terms of their wide-ranging architectural and interior designs. Even the views, sublime as they are from every corner of the property, vary slightly according to aspect and elevation. Sunset Hill Estates, for example, are built at hillside elevation for maximum “wow-factor” vistas, while sprawling Beachfront Estates offer up-close looks at the pristine coastline. 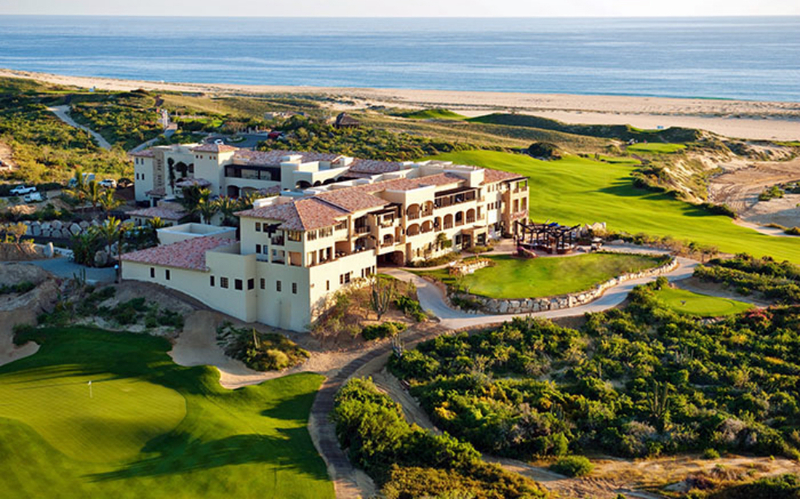 Links aficionados are the target demographic for the four-bedroom, hacienda style Golf Villas, which are strategically situated around the famed Dunes Course. Two-bedroom Dunes Club Penthouse Suites condos also feature unobstructed views of this magnificent course. Three-bedroom homes at Las Casitas have their own set of attractions, ones which should prove particularly appealing to families. Adults, for example, will love the hot tub and rooftop deck – a perfect setting for romantic sunset celebrations – while kids can splash in the swimming pool or head over to the soon-to-be-finished Sports Center. Ocean Club Residences are the first multi-unit development at Diamante, with two-, three- and four-bedroom residences available. Elegant furnishings and awe-inspiring ocean views are the top-billed features, but the spacious residences also include underground parking and access to the private members’ lounge with concierge and valet service. The heart of Diamante is found in its eclectic but luxurious collection of private residential developments, but the property is also home to three currently open or in-development resorts: the residential style The Resort at Diamante, with its fully furnished studios and suites; the 639-room Hard Rock Hotel Los Cabos; and the boutique Nobu Hotel Los Cabos, from a celebrity ownership group that includes famed chef Nobu Matsuhisa and iconic actor Robert De Niro. The latter two properties are expected to be open by 2019, and will offer home owners convenient access to an even greater array of destination lifestyle experiences, from pool parties to five-star wining and dining. The magnificent natural beauty of Diamante Beach was forged by a higher power. All the other amenities were designed with a purpose: either to ensure the self-sufficiency of the community, or to afford the sort of upscale lifestyle options associated with world-class tropical resort areas. An organic garden and 24-hour market, for instance, guarantee residents don’t have to leave the property to shop for food or sundries. Not in the mood to cook? Izzy’s Restaurant showcases steaks, seafood and other specialties; and the Sports Bar serves up comfort food favorites and live sporting events, plus premium beers, wines and spirits. Beauty products and services, meanwhile, are available at the onsite spa, an expansive wellness facility whose treatments range from massages and facials to manicures and pedicures. Healthy pursuits, too, are well-represented, thanks to the 4,000 square foot fitness center, complete with resistance machines, jacuzzi and 25-meter lap pool. Acclaimed trainer Modu Seye, founder of Moduvated, designed the cutting-edge training programs. 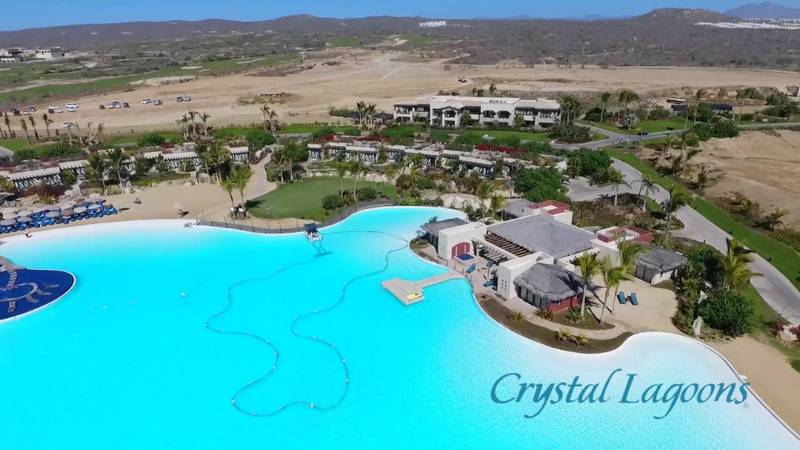 The beach may be perfect for sand castles and soulful walks, but since the Pacific side of Los Cabos isn’t recommended for swimming due to strong rip currents, Diamante added a 10-acre saltwater Crystal Lagoon for water-based activities and family-friendly outings. Residents can swim, sail, kayak or paddle board, and afterwards enjoy refreshments at La Palapa Bar & Restaurant. Even by Los Cabos standards it’s a superb collection of lifestyle amenities…and more are on the way, including a sports center featuring tennis courts with stadium seating, a baseball diamond, and a combination football/soccer field. Have we mentioned the world-renowned golf courses yet? Tiger Woods has now designed, or has in development, nine courses around the globe. A jaw-dropping three of them are at Diamante. 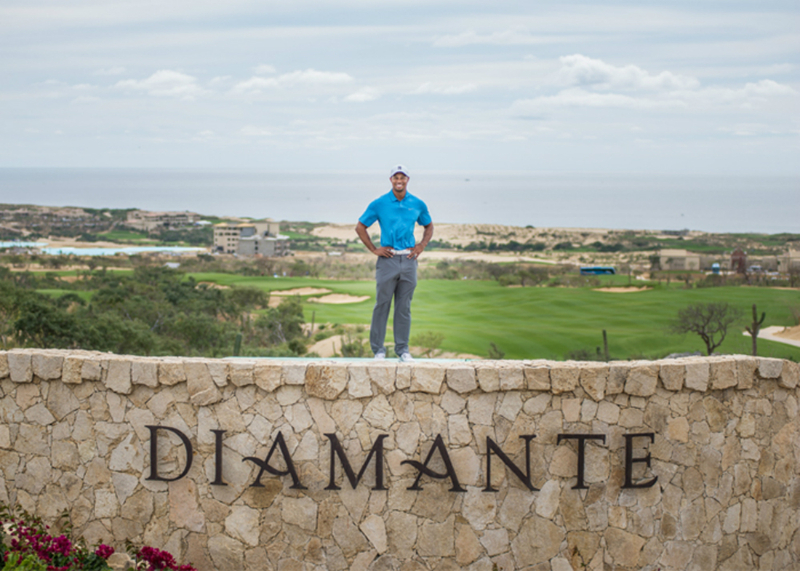 This close-knit relationship with the planet’s most famous golfer spotlights just why Diamante is so special. It’s an unprecedented lifestyle experience that pairs luxurious coastal properties with spectacular, “nowhere-else-on-earth” amenities. Woods’ parkland style El Cardonal was his first course to open at Diamante, premiering in 2014. He has since added a fun and funky 12-hole Oasis short course, and plans for a lush Shadow Creek style layout–to be called The Oasis at Diamante–are in the works for 2019. For all of Woods’ fame and design skill, however, the unquestioned star of Diamante’s golf portfolio is the Dunes Course designed by fellow major champion Davis Love III. The breathtaking links-style treasure was immediately lauded upon its opening in 2009, and its stature has only grown in the years since. It’s now ranked as the best course in México, and #38 in the world by GOLF Magazine. Private instruction for children or beginners is available through the Diamante Golf Academy. The coastal backdrop gets plenty of attention, and deservedly so: it’s beyond magnificent. But the goal at Diamante has never been simply to create a postcard perfect setting for their luxurious homes and residences. The goal is and has always been to create a complete lifestyle experience for their communities, with special, one-of-a-kind entertainments and diversions that bring families closer together and create indelible memories. The horizon stretching ocean views don’t hurt, of course, but they’re only part of the reason this “Diamond” is a cut above the rest. We can only represent your interest in purchasing at Diamante, and we have accepted this role only after completing due diligence and approving Diamante as a safe, transparent investment.